Let’s first begin with a brief intro into my history with this concoction. Once I came of (drinking) age in Guatemala, and thus found out what hangovers were all about, it was of utmost importance to try to find some kind of cure or even partial remedy for the horrible condition that plagues a person the morning after a hefty night of drinking. Enter the Michelada. For a person early into their drinking career, the idea of consuming the very substance that caused the current “illness” was absurd; however, once you’ve had a sip you’d quickly realize that this magical potion somehow doesn’t seem to contain any alcohol whatsoever! Unfortunately, it’s effectiveness and great taste would soon cause you to have one too many, and then you’re right back where you started just 15 hours before. So as with anything good in life, moderation is key. Optional: Hot sauce like Tabasco, Kimchi Hot sauce, spicy bloody mary mix. *Based on the size of lime you use, reduce or increase the remaining ingredients to achieve superior taste. A bigger lime may require a bit more salt to balance out the acidity, etc. Put ice in your choice of drinking vessel; although, a mug is usually most appropriate for icy beer drinks. Pour juice from lime directly into glass. 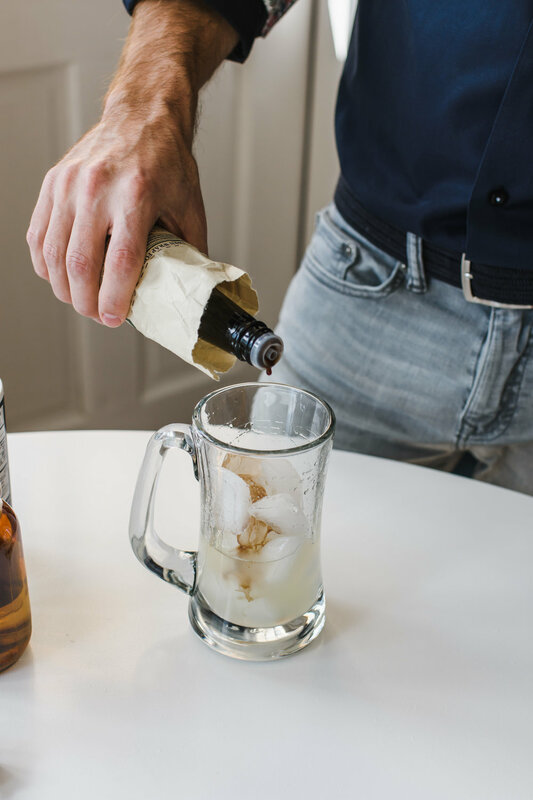 Add all other ingredients ending with your beer of choice. Stir until well-mixed. Taste. Season as needed. 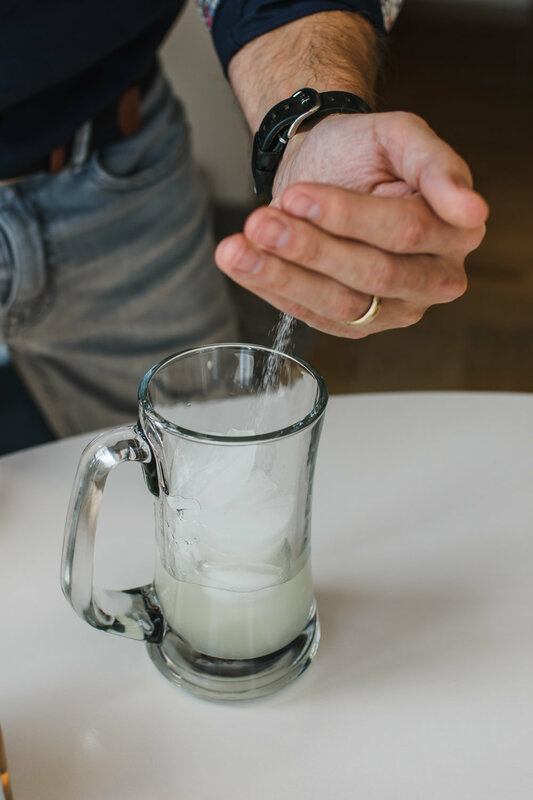 For use during a hangover, add salt to the rim of your mug. PSA: Salt can help replenish lost electrolytes and beat the symptoms of dehydration.